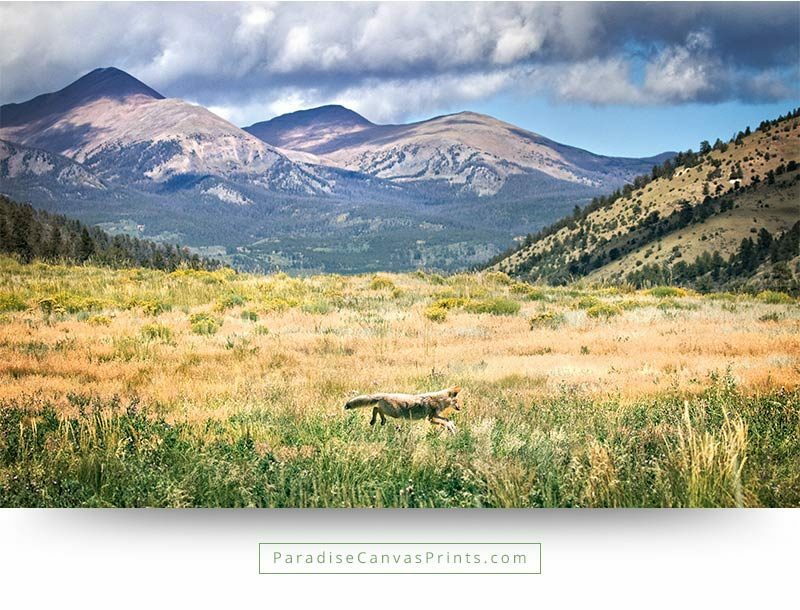 Buy large wildlife canvas prints and wall art and bring the splendor of wildlife right into your home! 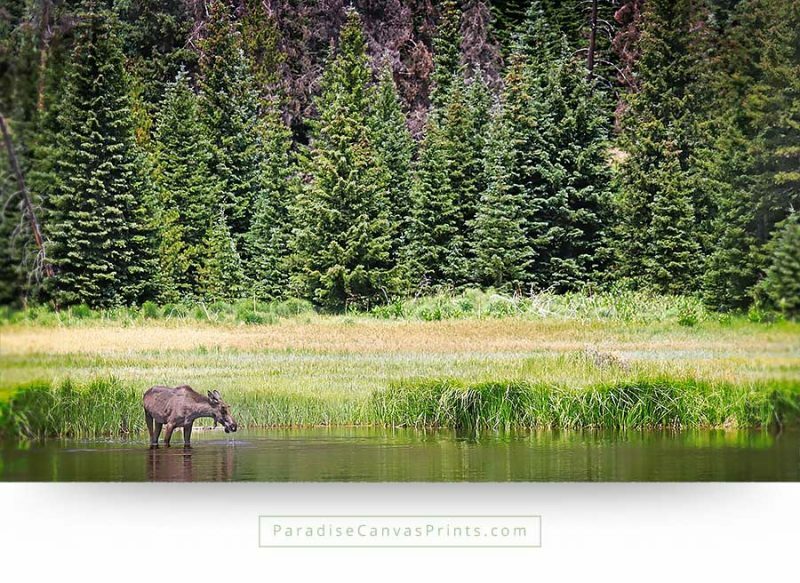 We all know the overwhelming feeling we have, when we are able to get close to wild animals. 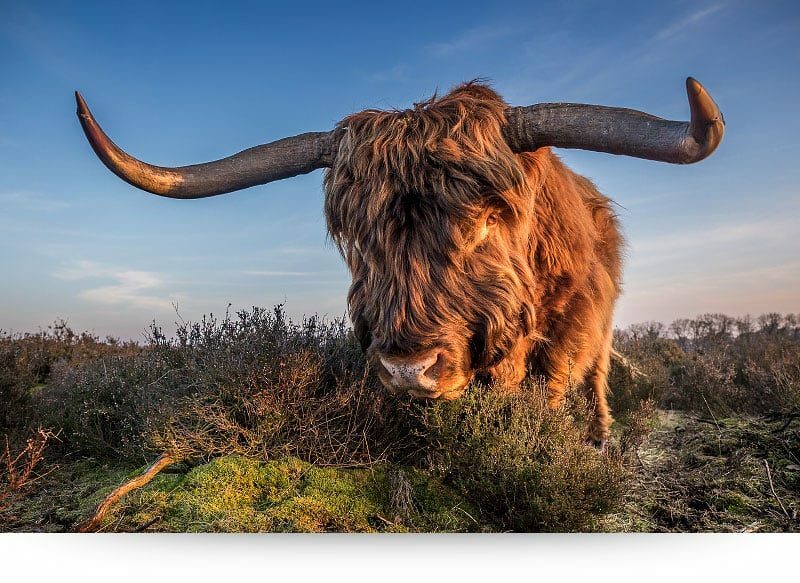 Our modern society has pushed them far away from our environment, but deep down in our heart we know we were meant to live side by side with these wonderful creatures. 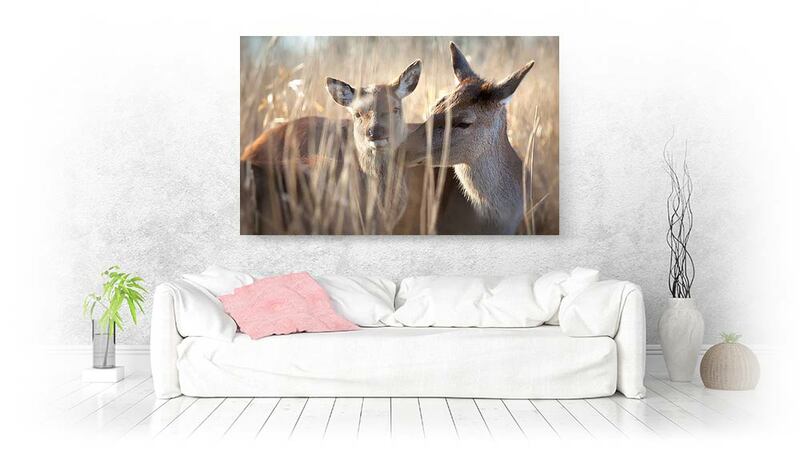 Now take your chance and bring the splendid beauty of wildlife animals, right into your home! 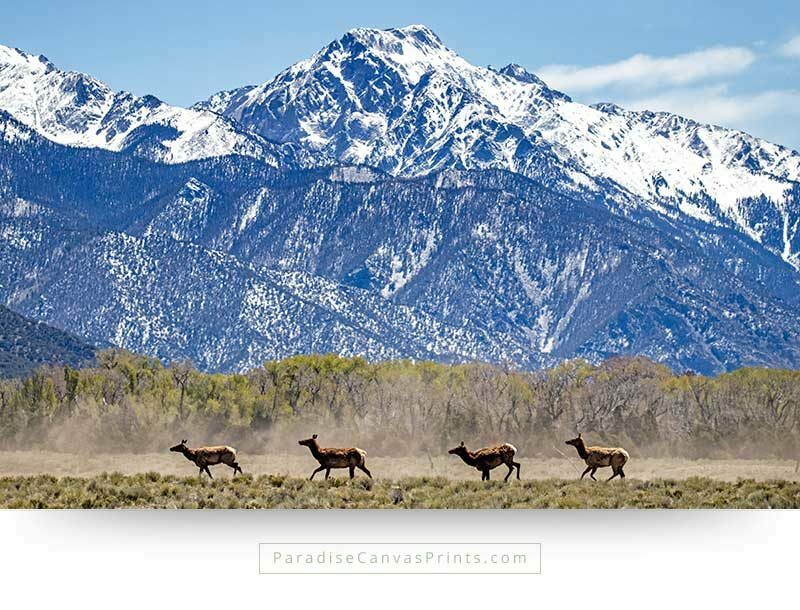 Bring paradise into your home with these large wildlife canvas prints. 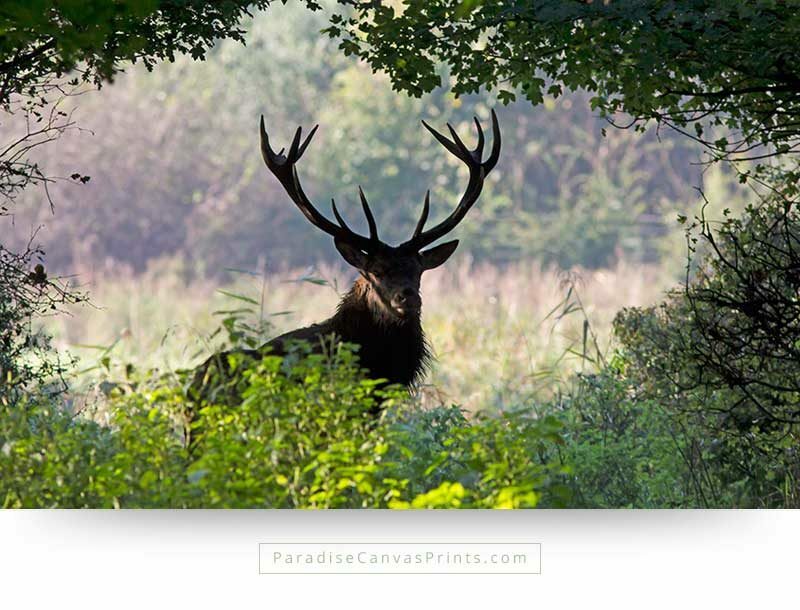 I had no idea this stunning red deer was resting behind the bushes. But I heard something and figured there might be wildlife hiding somewhere. 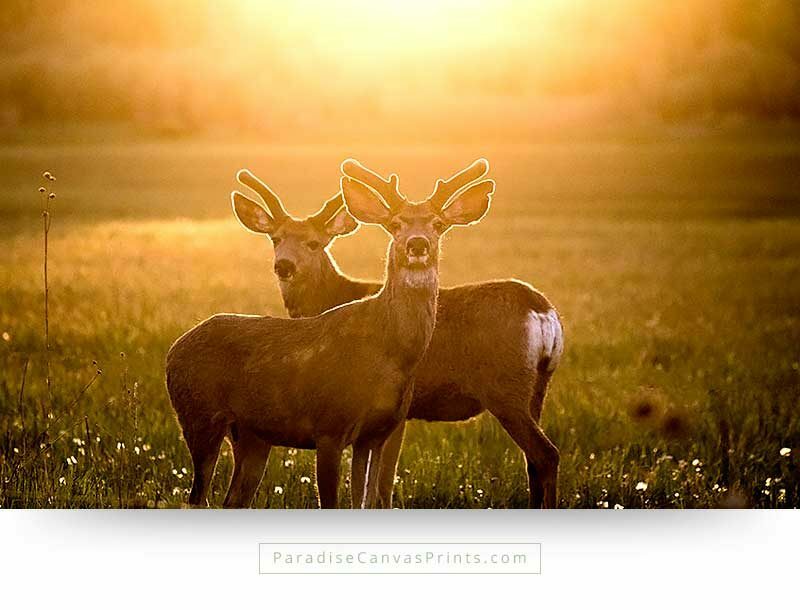 As I carefully approached, suddenly the majestic deer rose from the thicket and looked me straight in the eye. 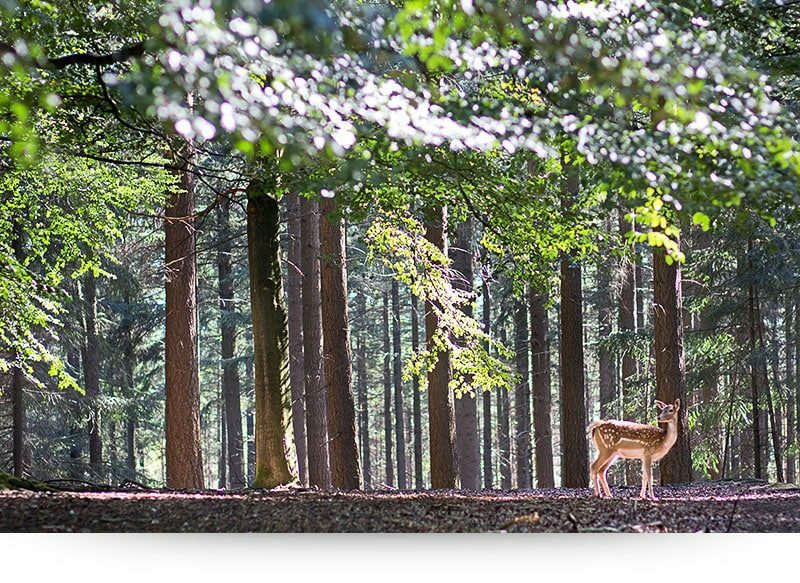 During autumn the deer inåÊa wildlife preserve took shelter for the cold wind, in a thick forest. 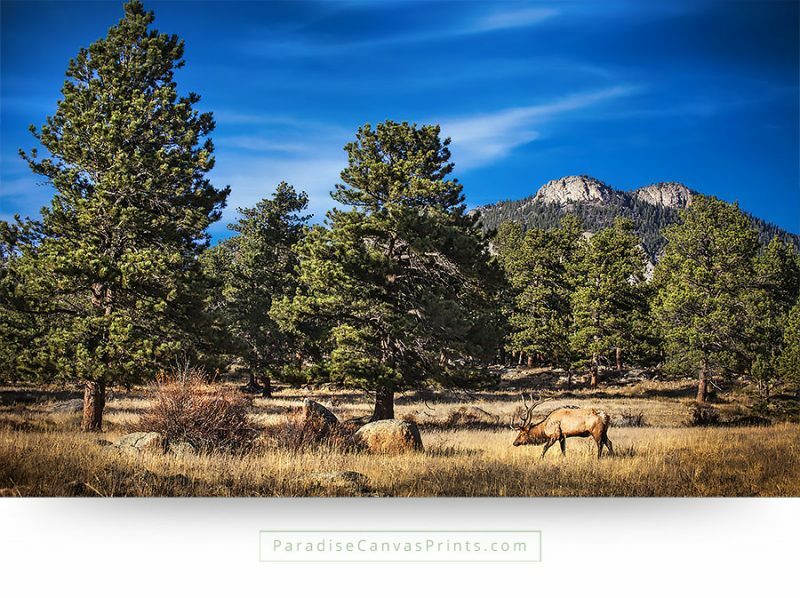 Hiding behind the dark trees, I was able to approach them and enjoy their majestic beauty. Once on a holiday we saw how these beautiful squirrels lived in our backyard. I set up a table with moss and strew some nuts on it. Immediately these clever animals jumped up and enjoyed the party. But before they attacked the snacks, they always looked around to see if everything was safe. Those were the moments I could take great pictures of them. Some wild animals can become so ordinary,åÊbecause we see them all the time. 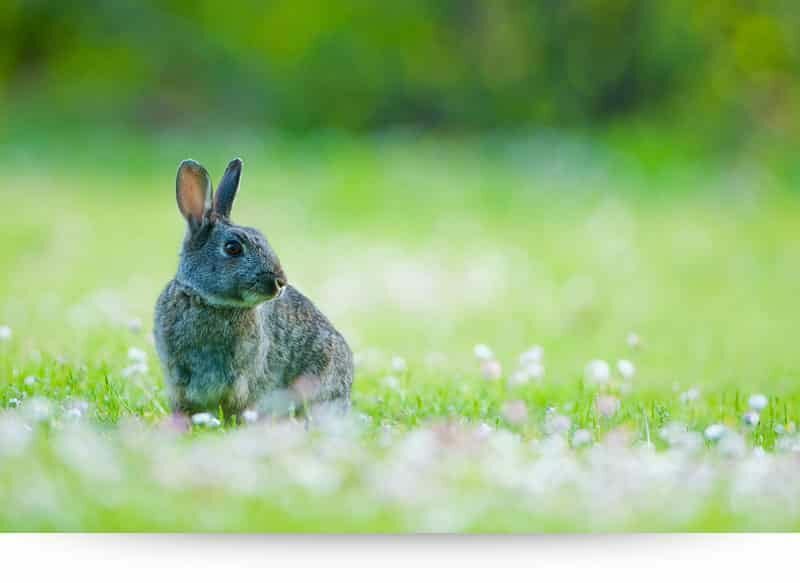 Rabbits for example. Yet they are so magnificent! 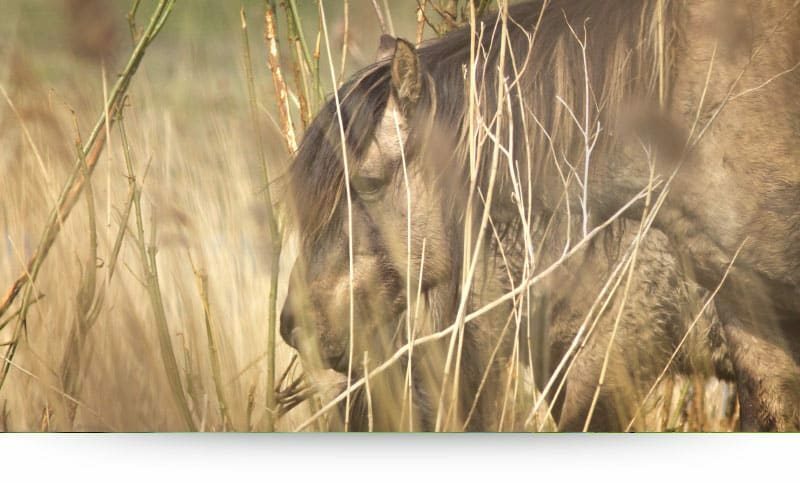 Especially when they sit peacefully in the flower covered meadows, enjoying the sunshine and calmåÊof nature. 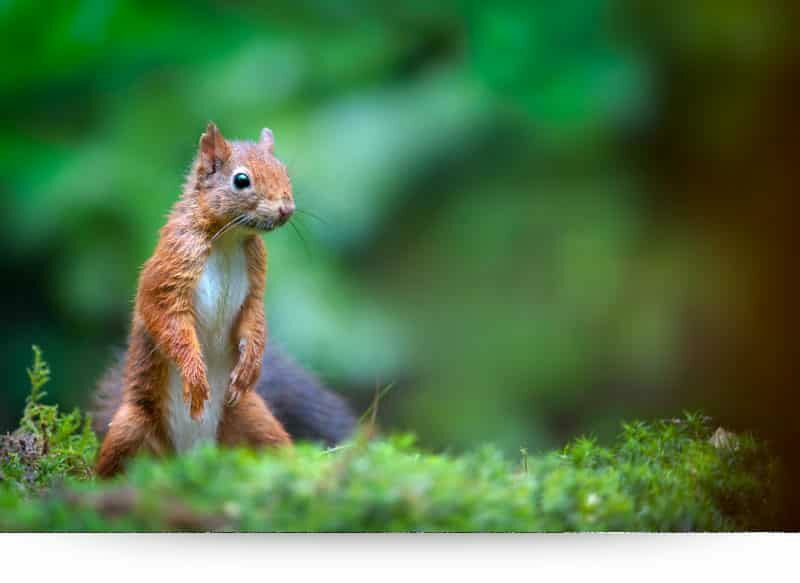 Thanks to good tele lensesåÊwe are able to zoom in on the wonderful beauty of these squirrels. 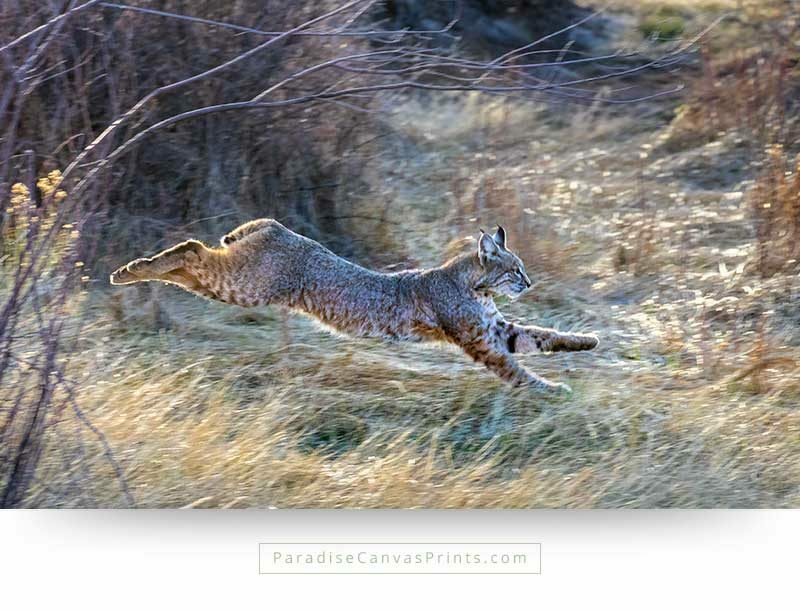 Imagine this gorgeous animal on the wall in your house! WouldnÛªt that look absolutely delightful? 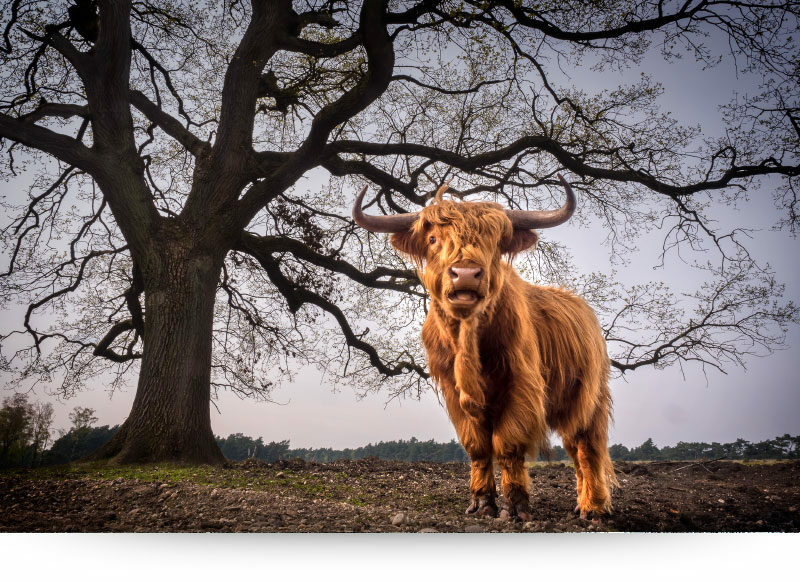 Gently waving his horns at me, was all this kind Highland did, in order to communicate that I had to keep my distance. Û÷I was waiting to see when he would pin you on his hornsÛª said a walker, who observed me from a distance. 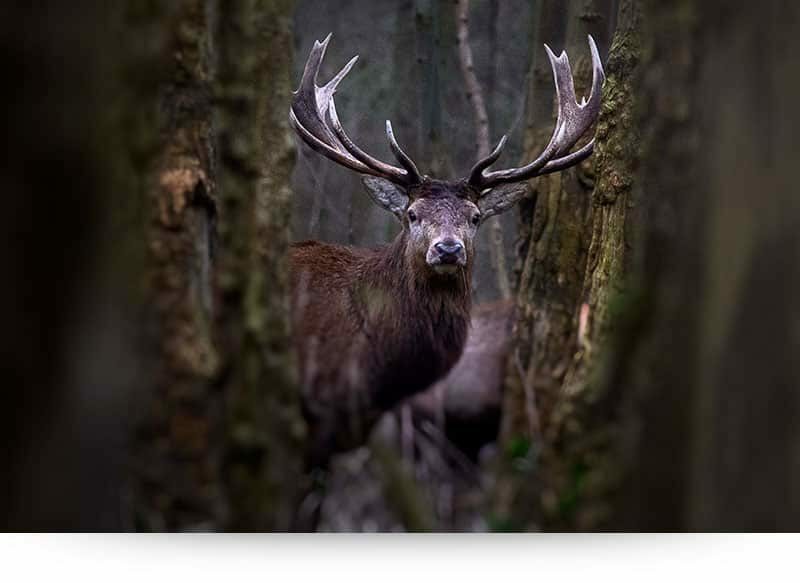 Sometimes I take a littleåÊrisk, just because I am so in awe of the beauty of these wild animals, and I desperately wantåÊto capture their majesty on camera, so others can enjoyåÊit as well. The golden color of this bullåÊcontrasts strongly against the grey sky. I had to lay down on my belly, to take this picture, hoping he would stay safely where he wasÛ_ Thirty seconds after I took this photograph, I had to run for my life! 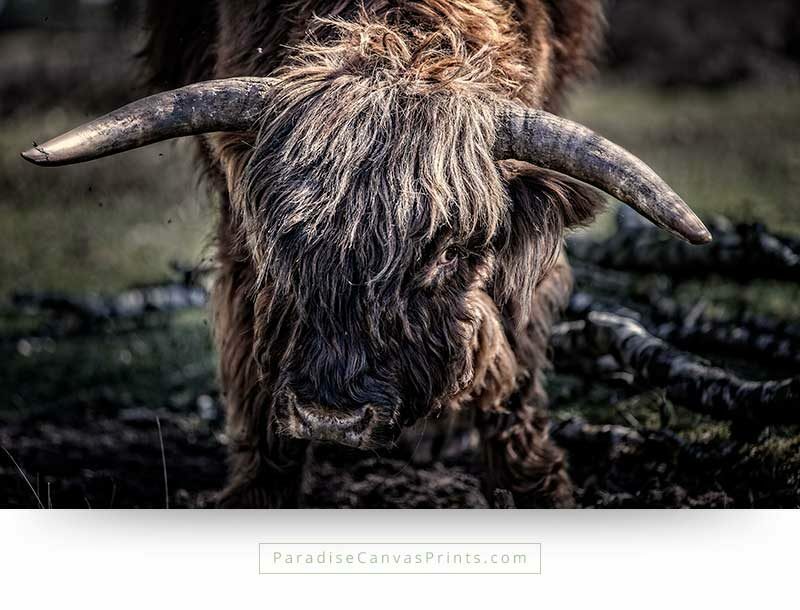 It is interestingåÊhow these impressive animals can be the model of peace, when they stand in the open grasslands, enjoying their endless meals of grass. Yet, when they are challenged or threatened they change into huge bundles of pure muscle, that can kill in an instant. 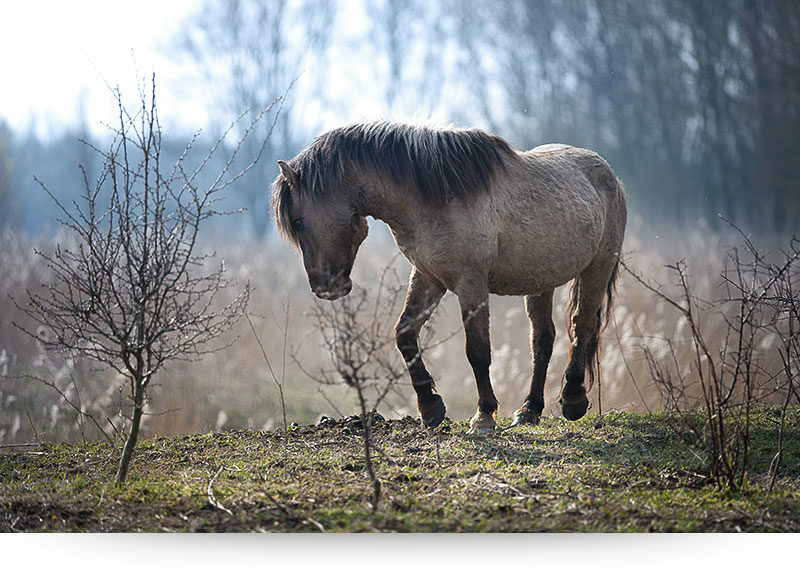 One hit of a hoof would crush the skull of humans, yet wild horses can resist the impact. 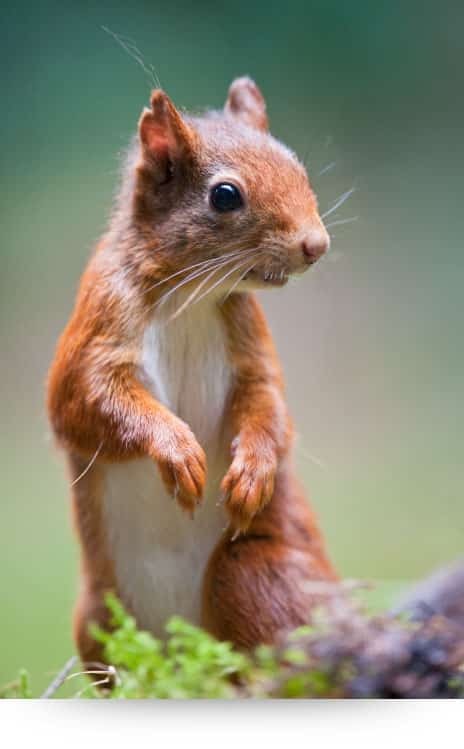 However, when they have bad luck, it can also break their jaw, making it impossible to eat which would kill them. 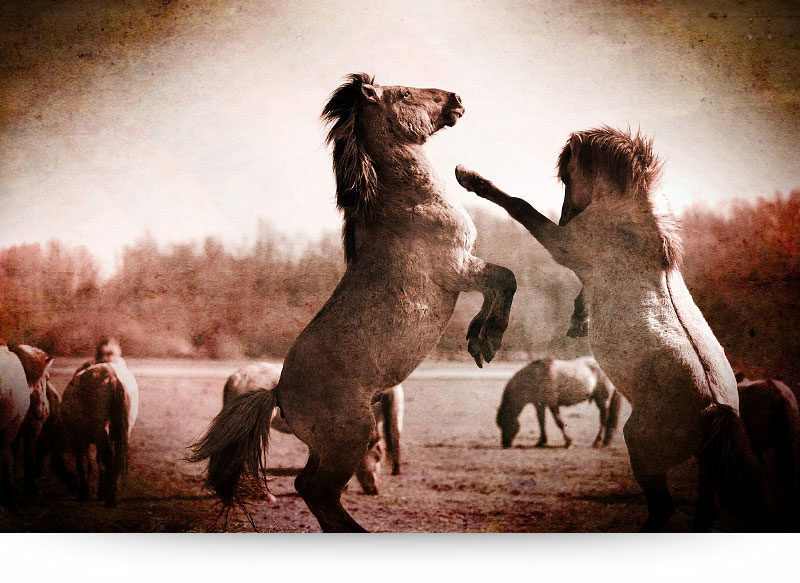 The violence of the fights is frightening, but necessary to make sure the herd remains optimally strong. 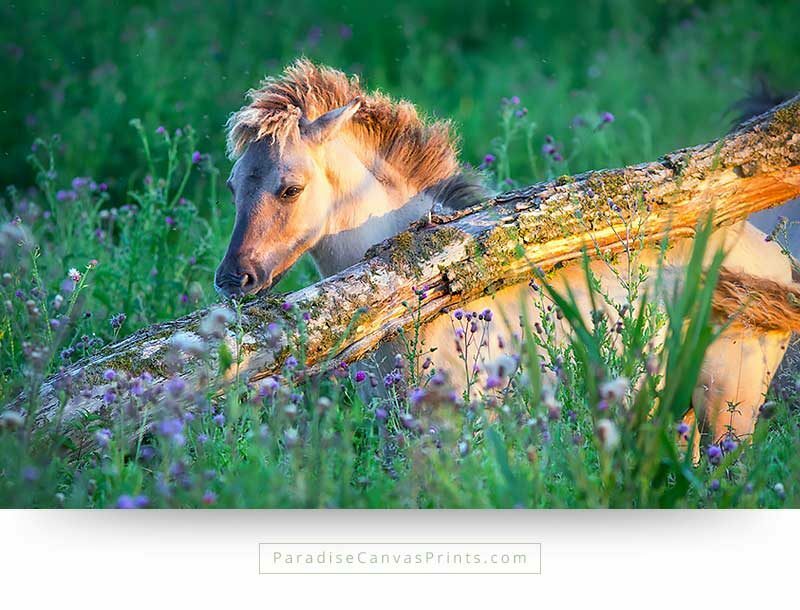 While the sun was setting, and its golden rays spread out over the landscape, this playful wild foal started nibbling on a fallen willow tree, becoming the perfect object for a tender and colorful wildlife photograph. 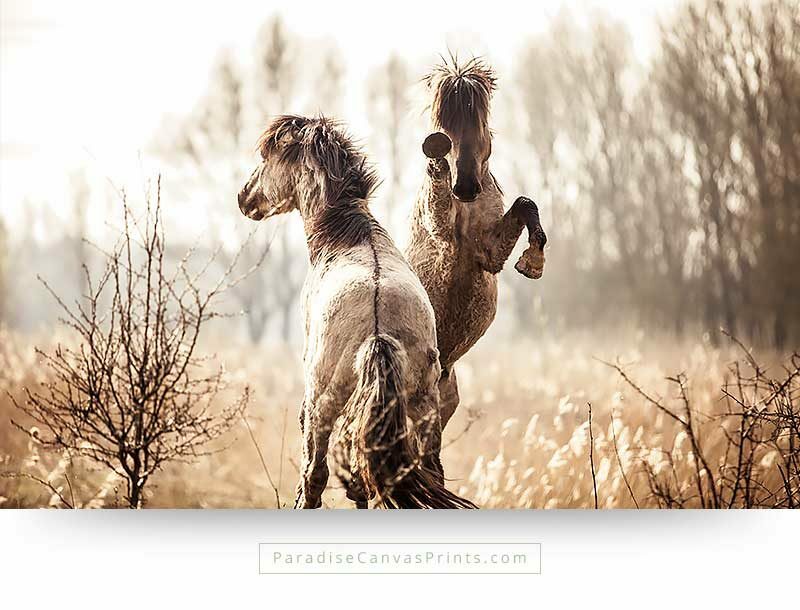 This photograph of a wild stallion shows two of the most striking characteristics of these animals: they are calm and peaceful, while they endure the wilderness. 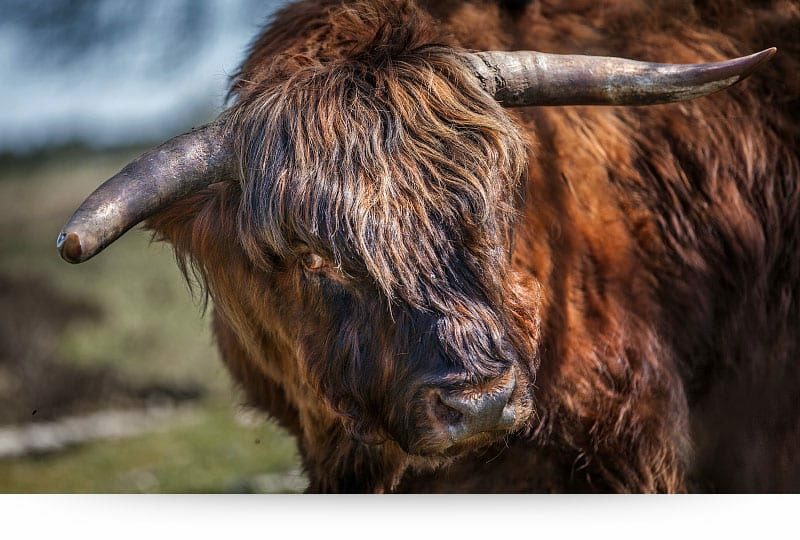 Their entire being is an expression of strength. They never give up. Carefully watching my every move, I blended in with a herd of wild horses. 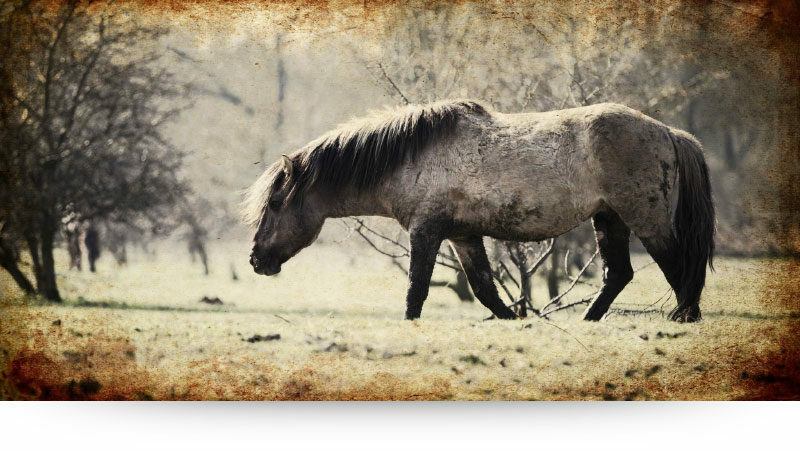 Now and then a Konik stallion drew closer to check me out, but when I stepped backåÊwith my eyes lookingåÊdown as a sign of submission, they knew I was no threat. 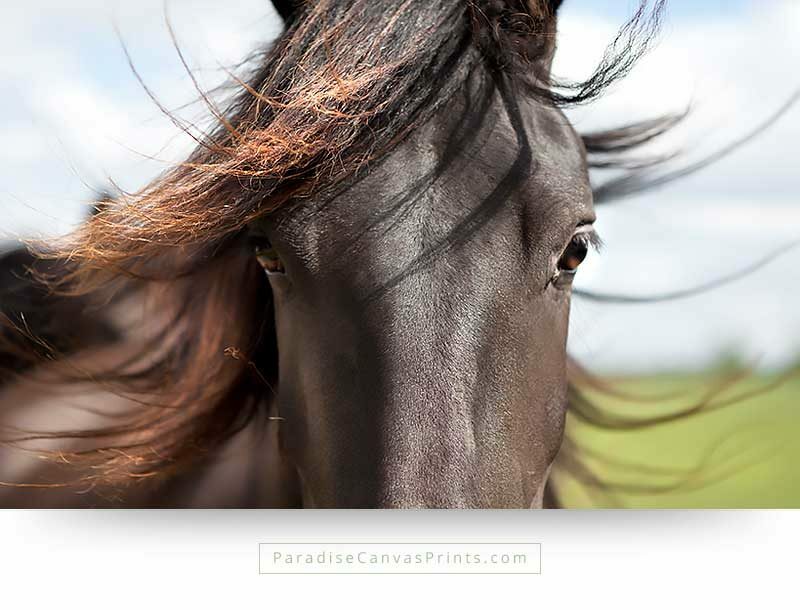 That way I could photograph this powerful stallion.